< Return to What is the AZSERC Program? 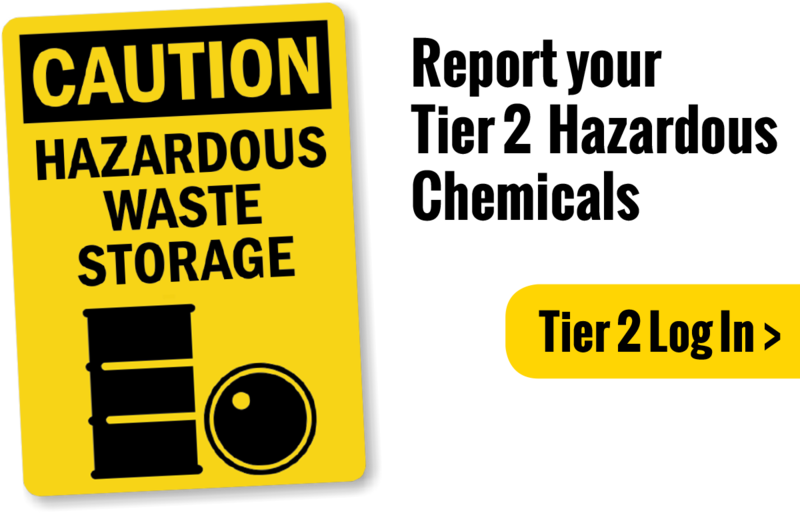 AZSERCs Tier ll Chemical Inventory Reporting System was developed to keep an inventory of all chemicals stored in commercial and government buildings. The system can be accessed on location in the event of a fire or natural disaster so that emergency response teams can be adequately informed about chemicals that may be inside the facility. Optimal web browsers for this database are Chrome and Firefox. Each owner or operator of a facility required to file a Tier II Report is subject to a $75 filing fee for the first report and an additional $20 fee for each additional report, up to a limit of $500 per annual reporting period. Tier II reports and fees are due annually, by March 1.